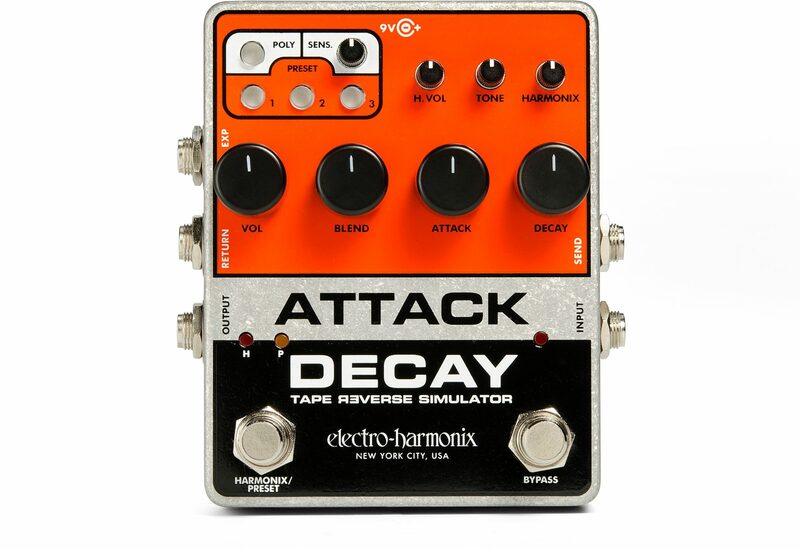 The circa-1980 Electro-Harmonix Attack Decay is a sought after prize among vintage pedal aficionados. Originally called a Tape Reverse Simulator, it’s known for producing volume and reverse swells, backward tape sounds, artificially short staccato notes and bowed instrument effects. This re-release Attack Decay reinterprets the classic by keeping all its capabilities and cool factor, but adds some modern features for convenience and enhanced functionality.